Collect extra Rubies, Free Spins and Super Spins! 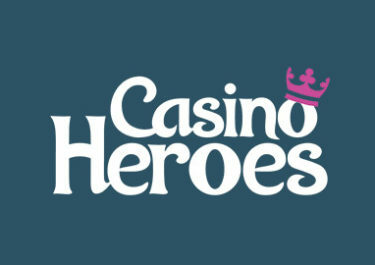 Get your explorer kit out and go on a 3-day adventure at Casino Heroes and collect valuable daily rewards. How far can you go? The further you progress the more profitable the extra rewards will become. Collect first 50 Rubies, then 50 Free Spins on Reactoonz and finally 20 Super Hero Spins on Jungle Books. Follow your progress on the Map page’s race bar while you wager on your favorite games and enjoy your reward at each completed level. Get spinning and remember to get to the finish before midnight to collect the rewards of the each day. Not yet being a Hero? Then sign-up now to choose from two awesome Welcome Packages. Either go for a 100% deposit bonus, up to €100.00 or for up to 300 Free Spins on some popular games such as Gemix, Starburst™, The Wild Chase or Theme Park: Tickets to Fortune™, based on your deposited amount. Casino Heroes bonus terms and conditions apply. 18+ only. To all Hero adventurers and wannabees, get ready to enjoy three days of extra rewards at Casino Heroes. Simply complete three levels by wagering on your favorite games to instantly collect your specials from 7th to 9th November 2017. Each day players can collect: 50 Rubies, 50 Free Spins to Reactoonz (value €0.20 each), 20 Super Hero Spins to Jungle Books (value €1 each). To be credited with rewards players need to reach the levels before the campaign day ends. The progress of the race bar can be tracked when clicking on the ‘My Missions’ side tab. Minimum bet to contribute to the progress is €0.20. As soon as the levels are reached, the rewards will be added to your Treasure chest and are valid for 3 days, from the moment they were credited. 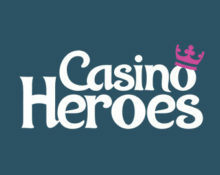 The winnings from Free Spins and Super Spins must be wagered 40 times, subject to the Casino Heroes bonus terms and conditions, always read them carefully.